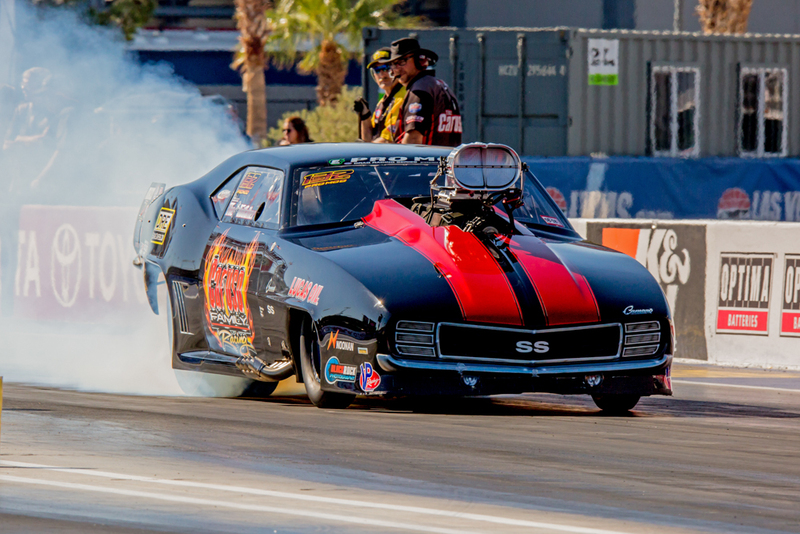 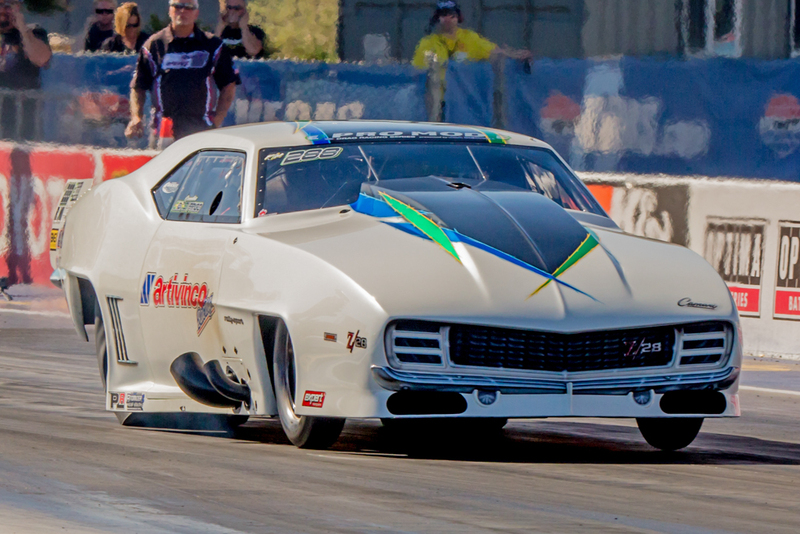 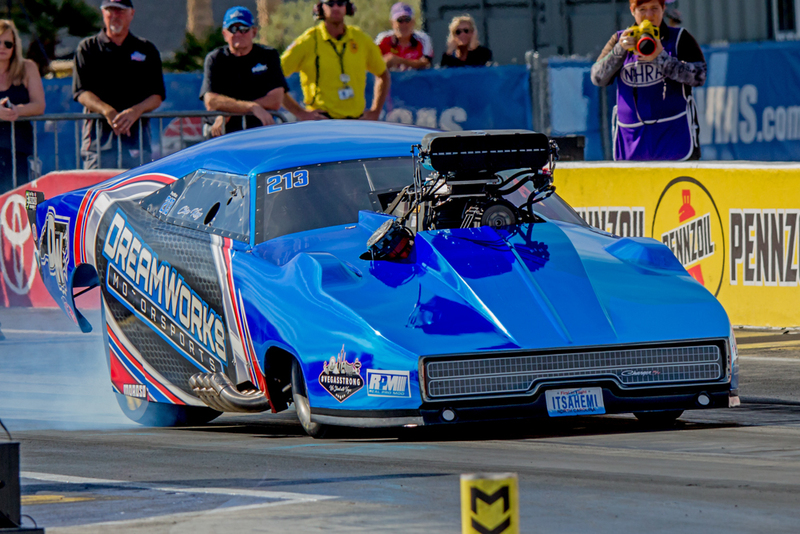 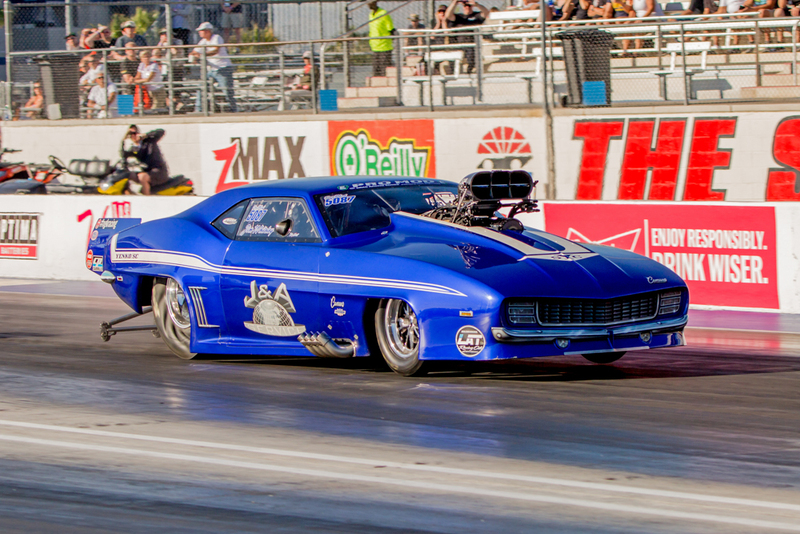 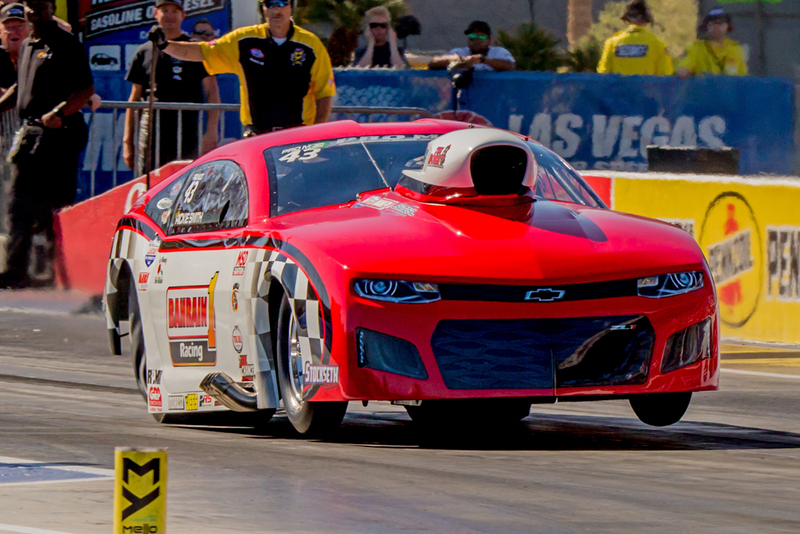 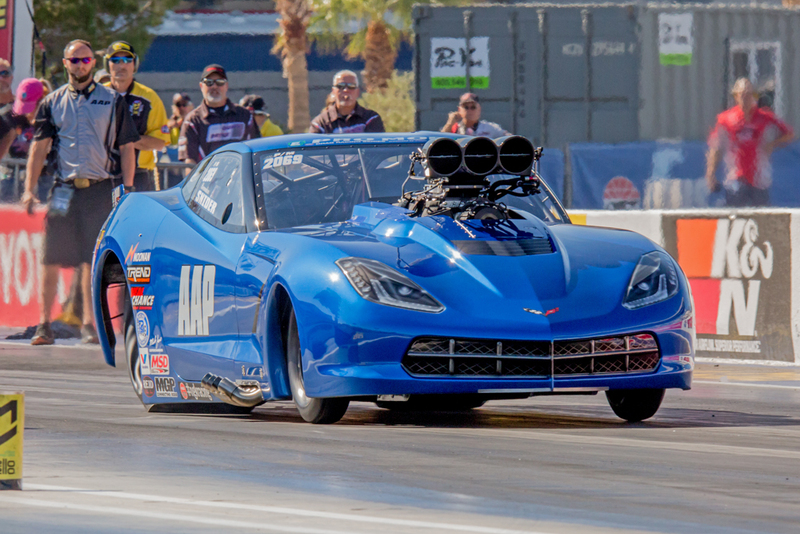 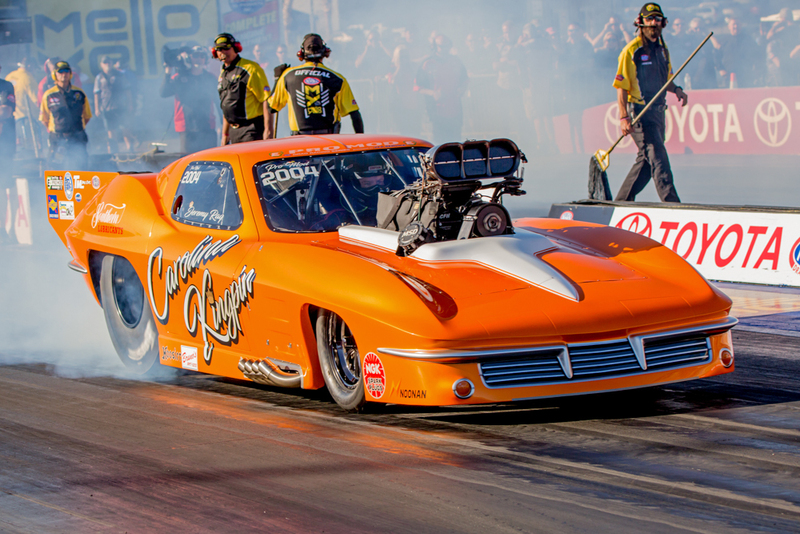 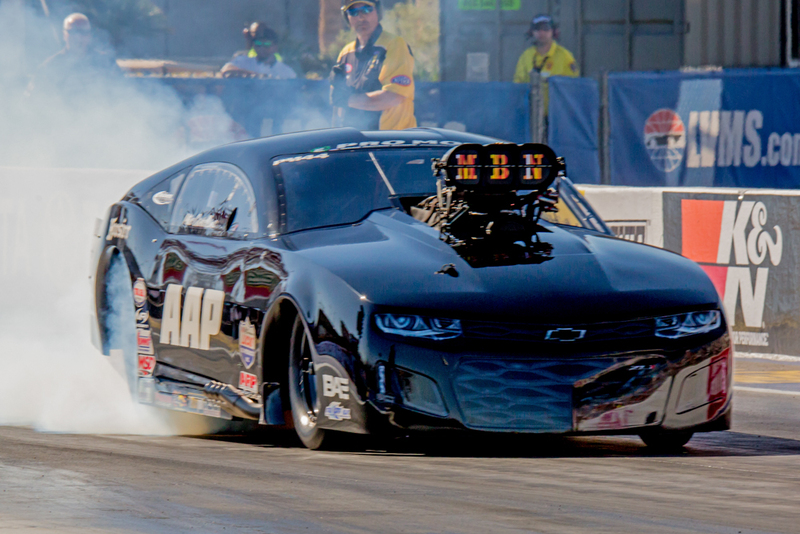 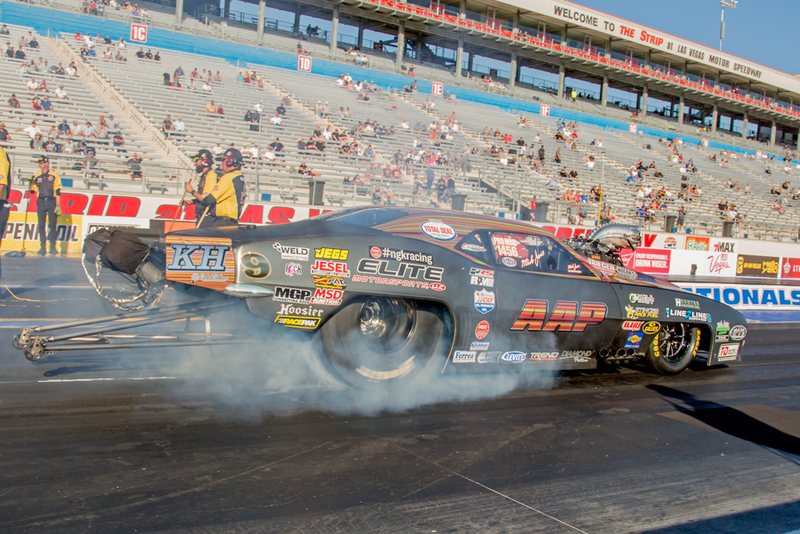 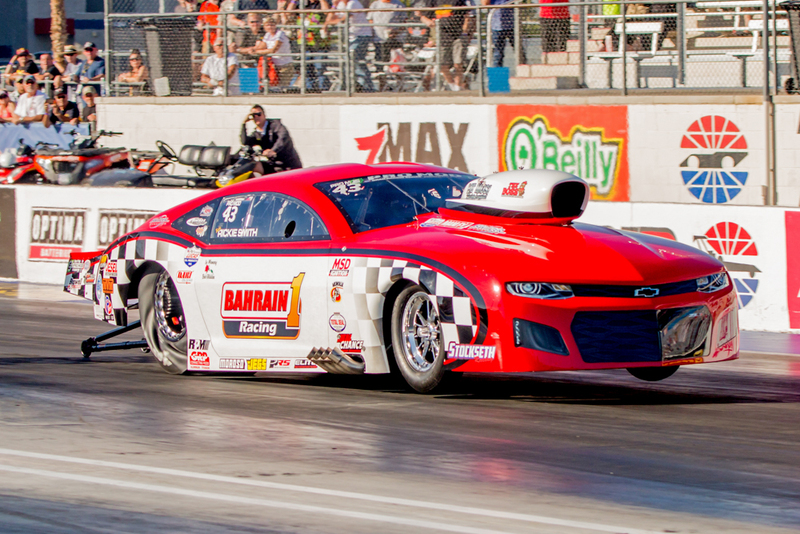 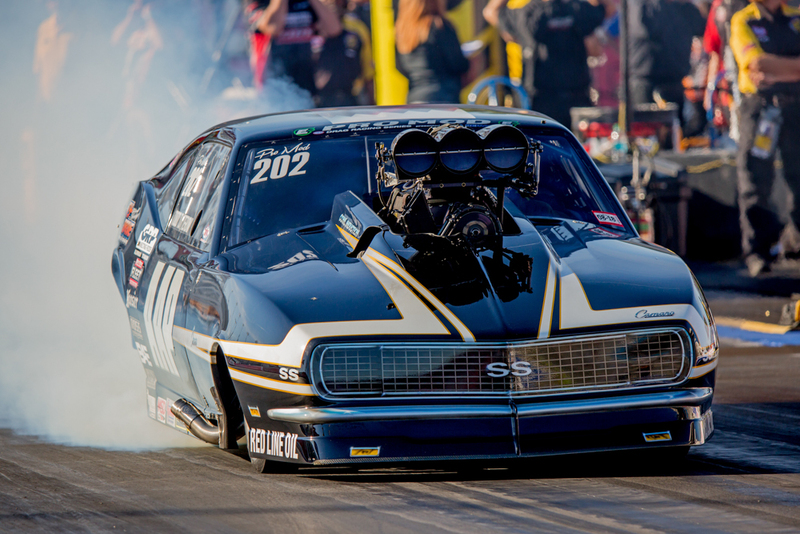 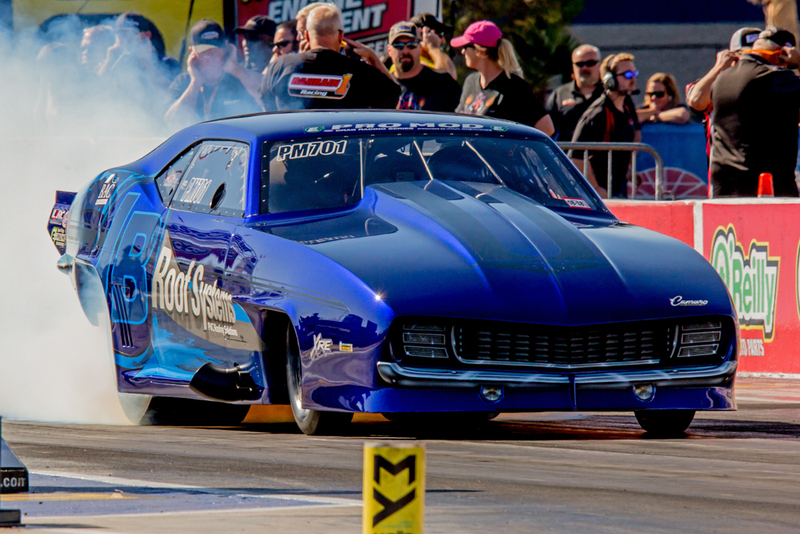 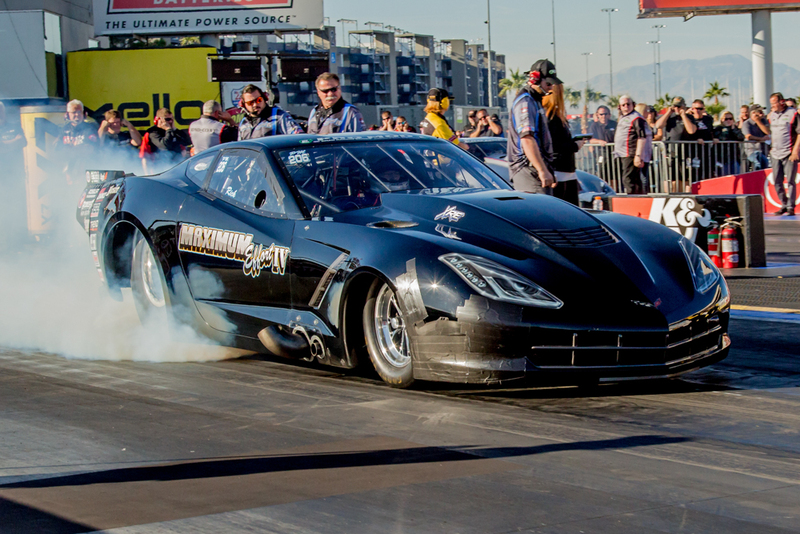 Mike Janis Grabs First NHRA Pro Mod Championship As Sidnei Frigo Wins Vegas Finals! 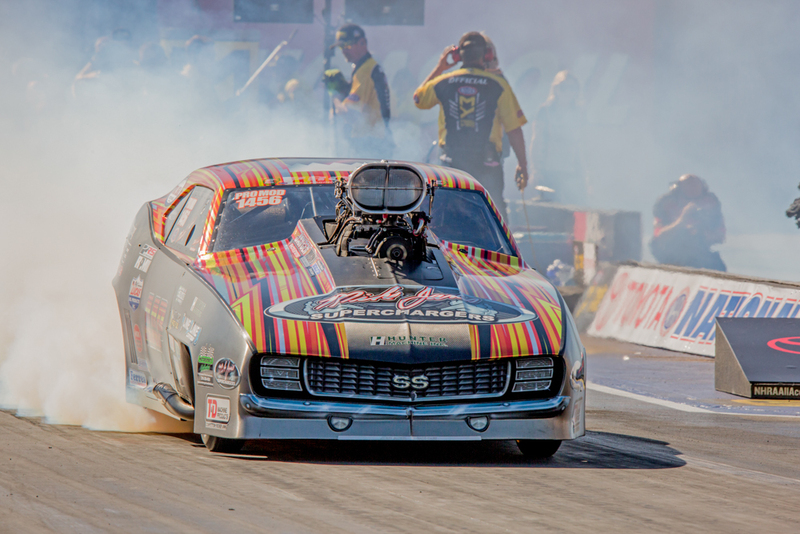 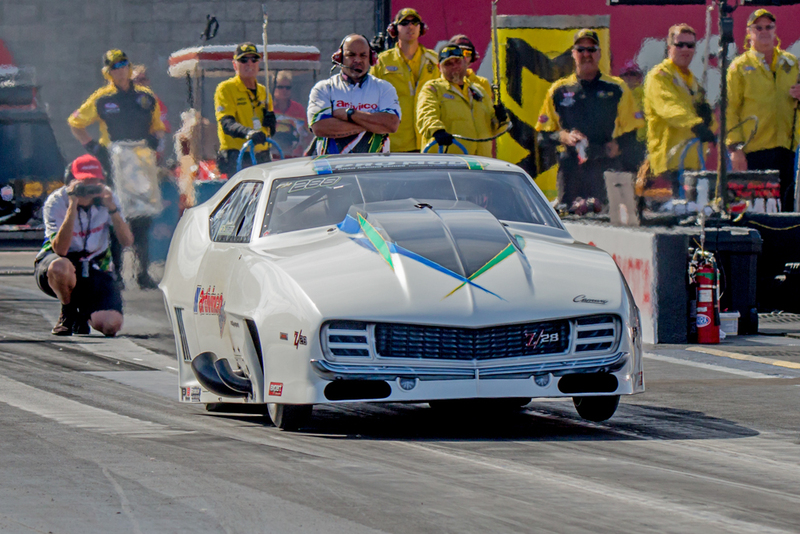 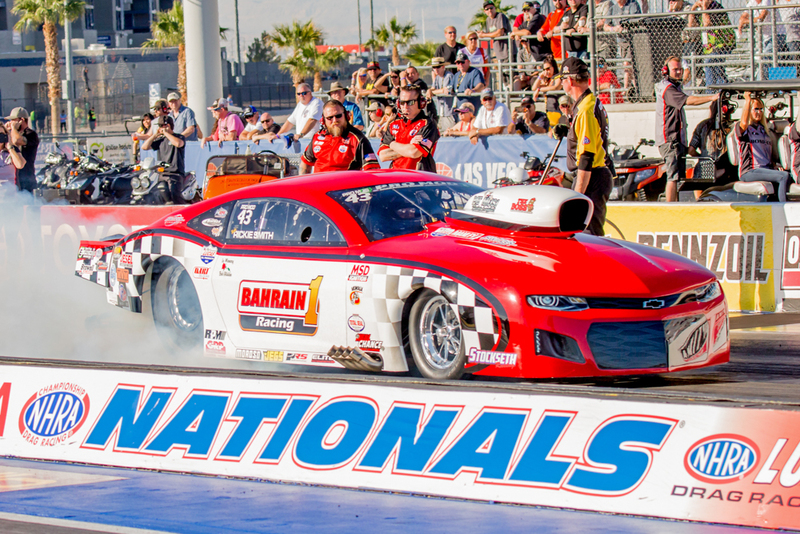 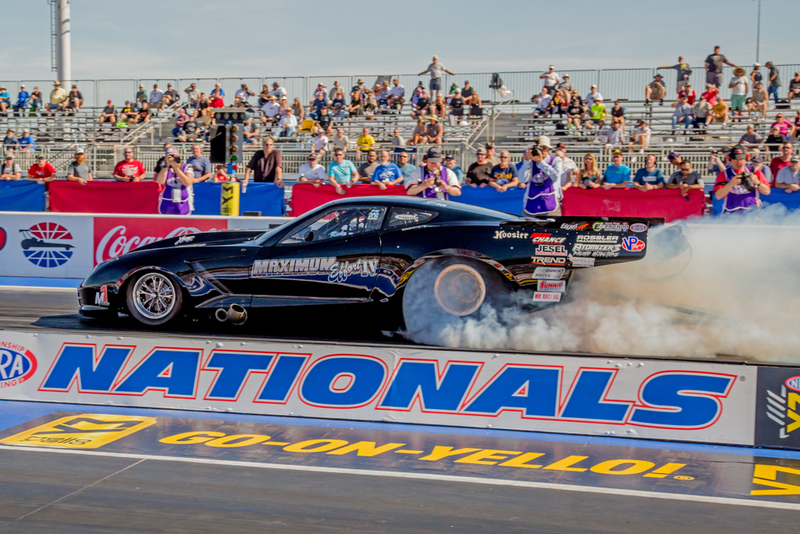 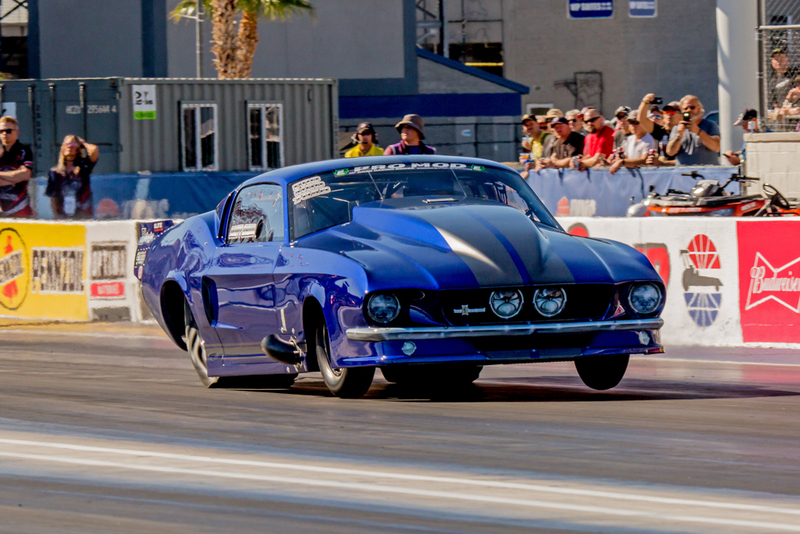 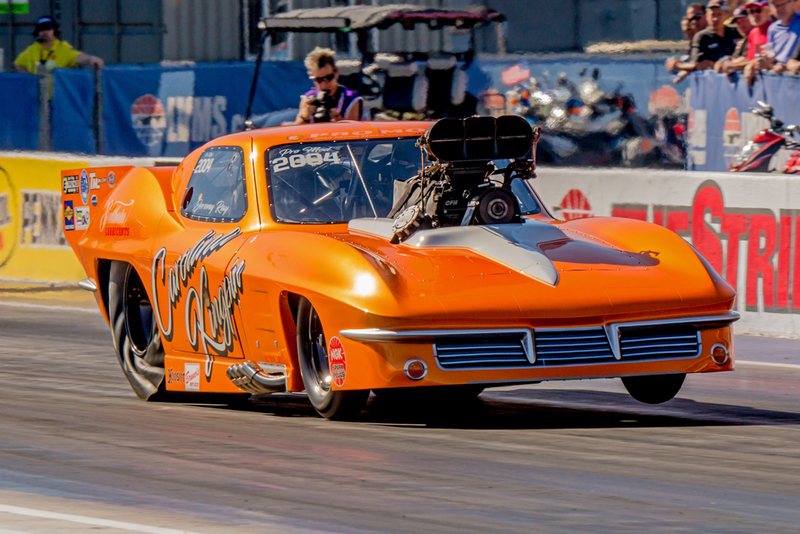 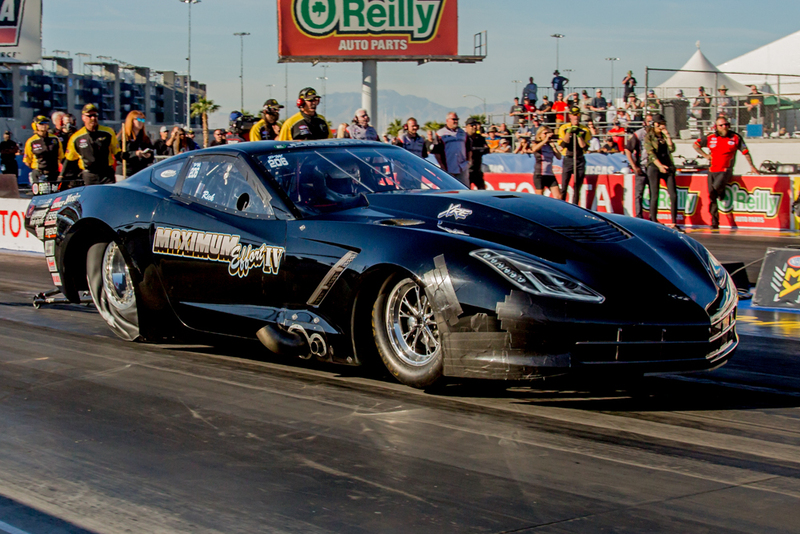 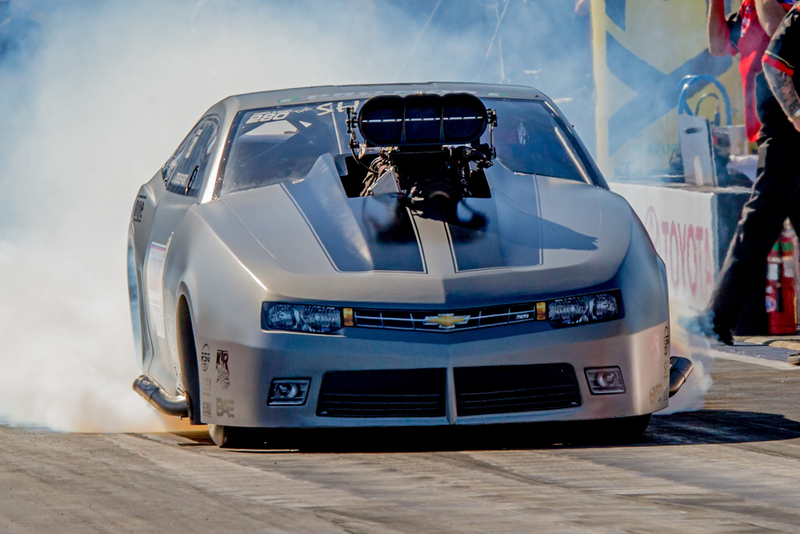 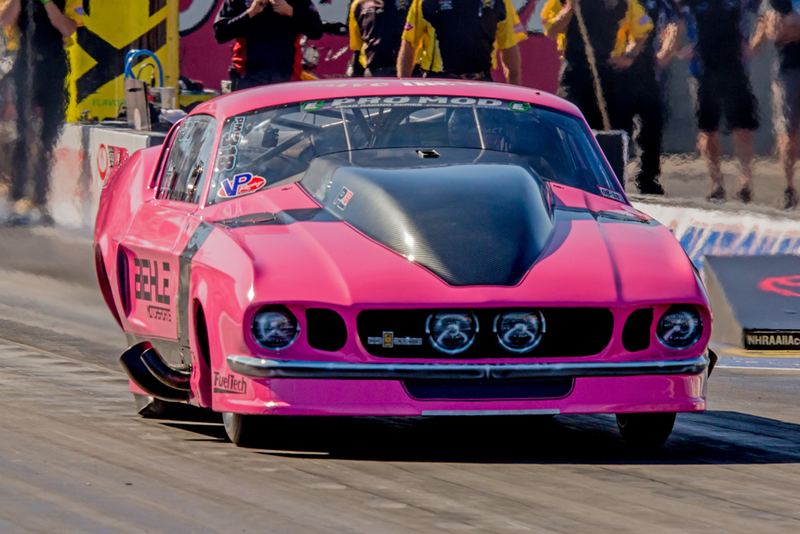 (Photos by Mike Burghardt) – Mike Janis won his first E3 Spark Plugs NHRA Pro Mod Drag Racing Series presented by J&A Service world championship at the season ending event during the NHRA Toyota Nationals. 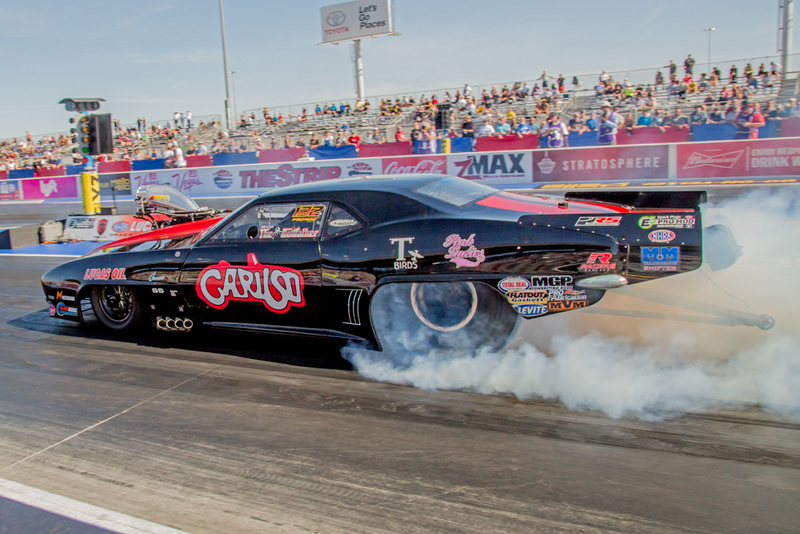 Janis’ ’69 Camaro Pro Mod was the points leaders entering the weekend but was defeated in the first round of eliminations by Mike Caruso. 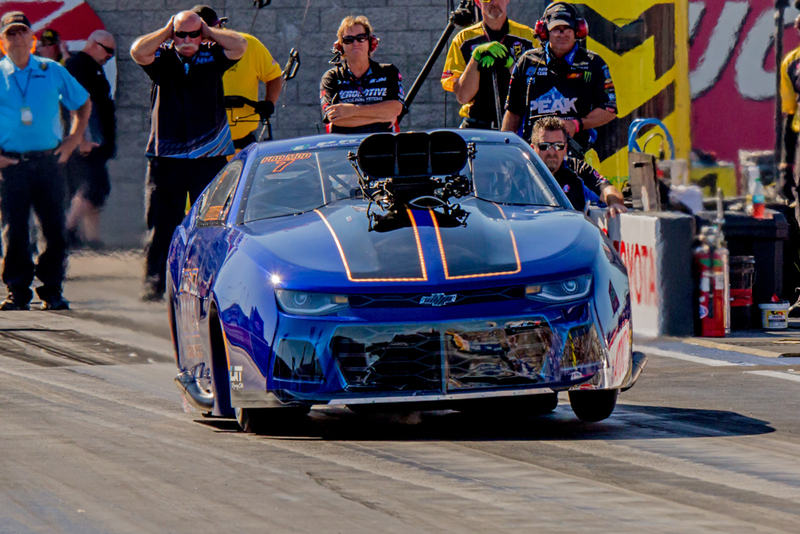 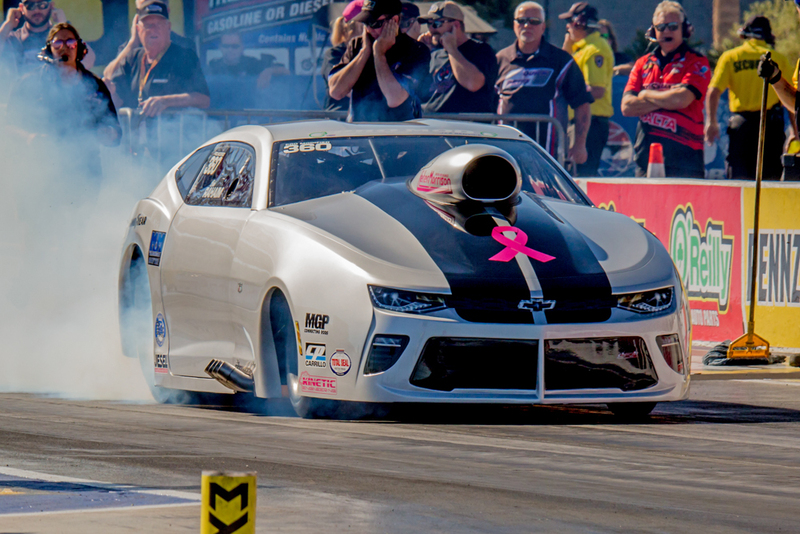 Rickie Smith, in his ’18 Camaro was second, advanced to the quarterfinals and had an opportunity to win his fourth championship – if he advanced to the semifinals. 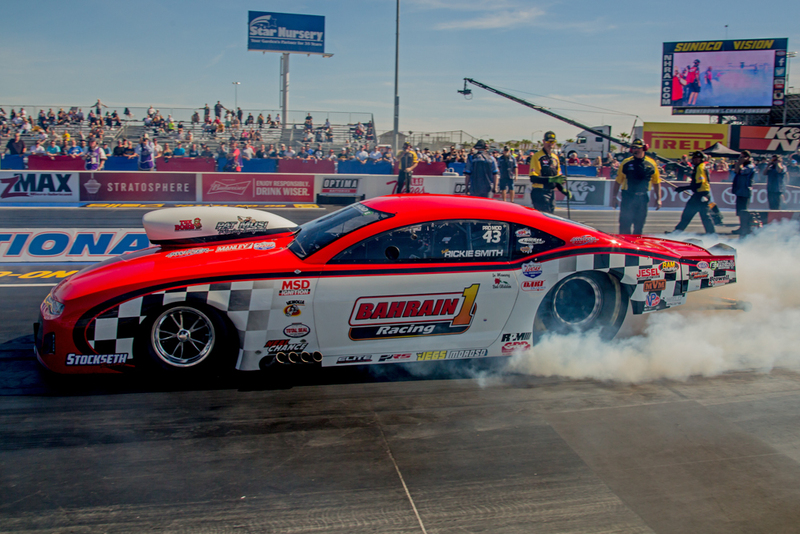 Rick Hord allowed Janis to claim the crown by defeating Smith. 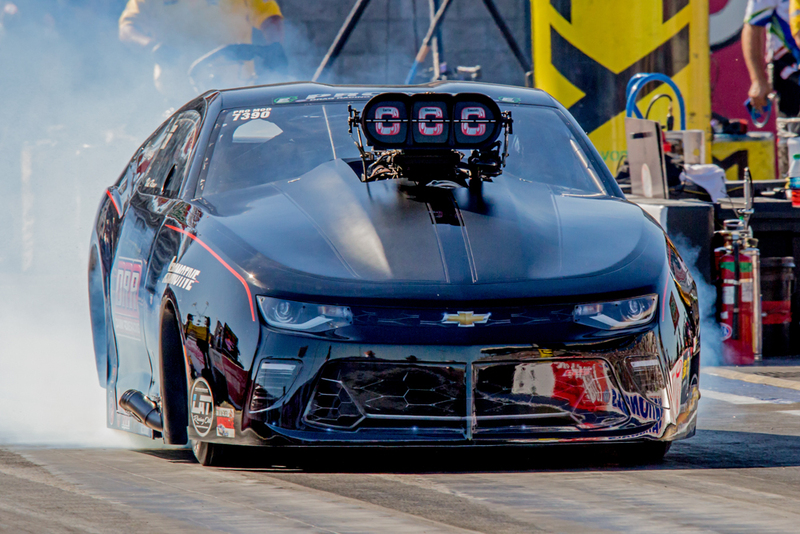 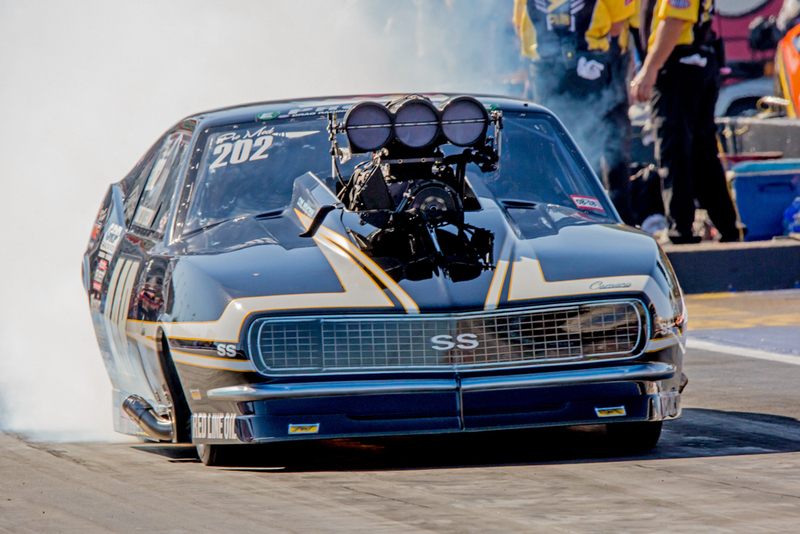 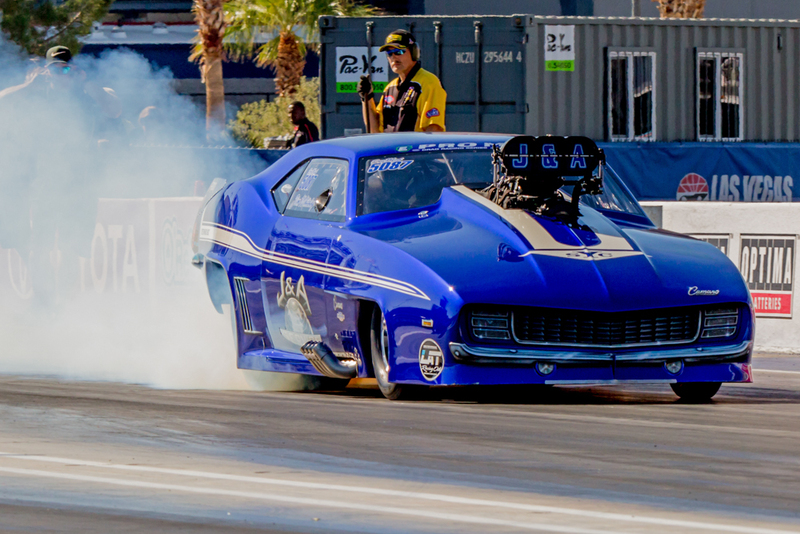 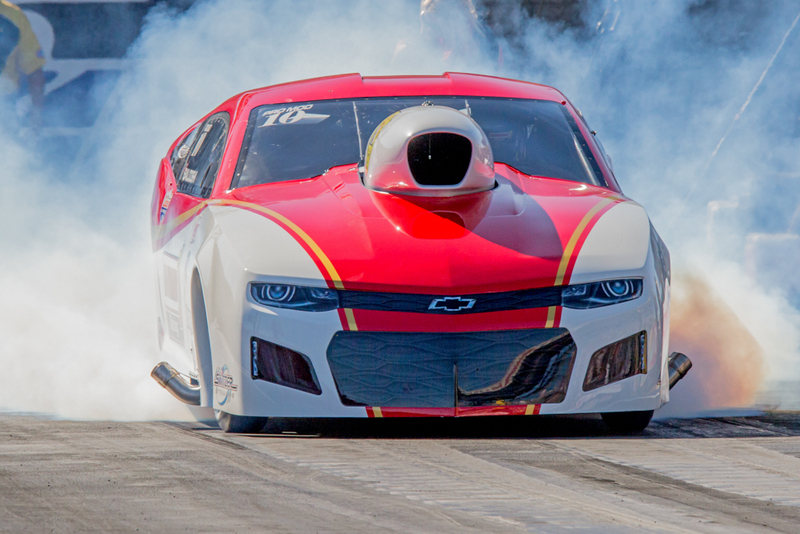 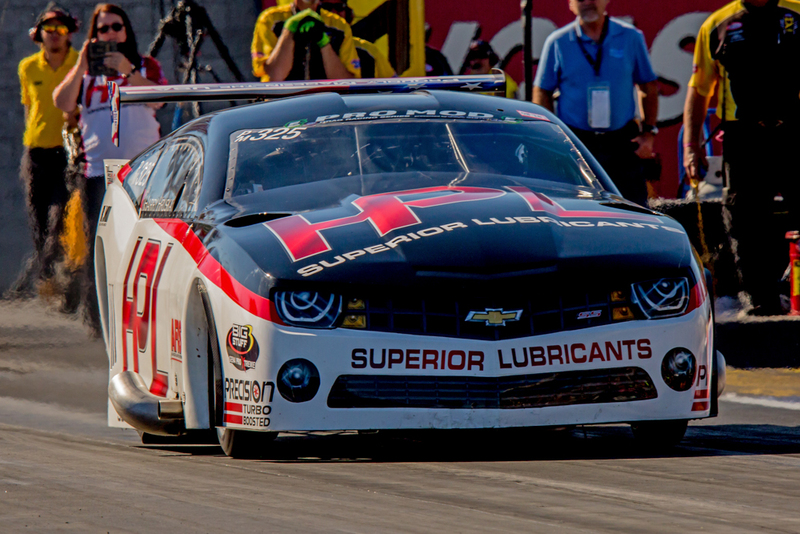 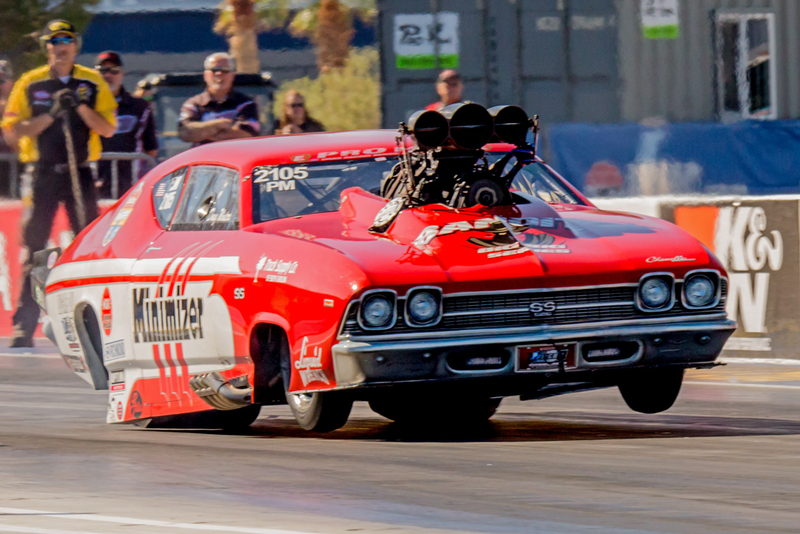 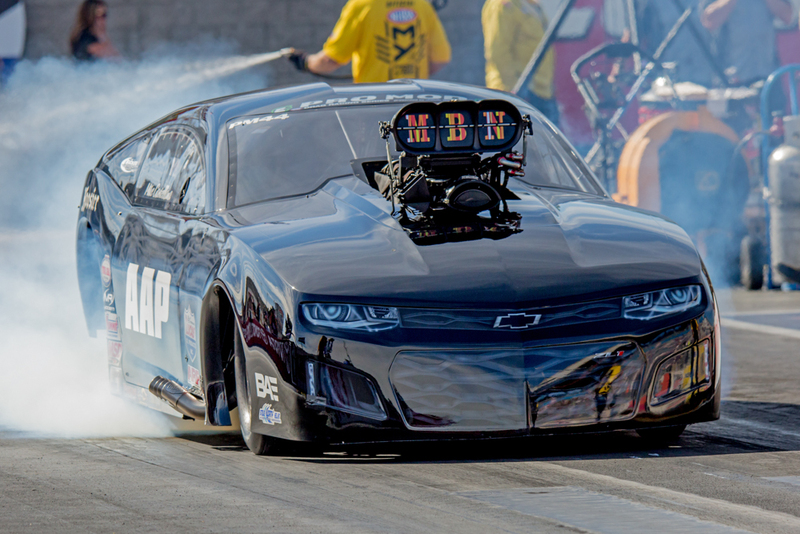 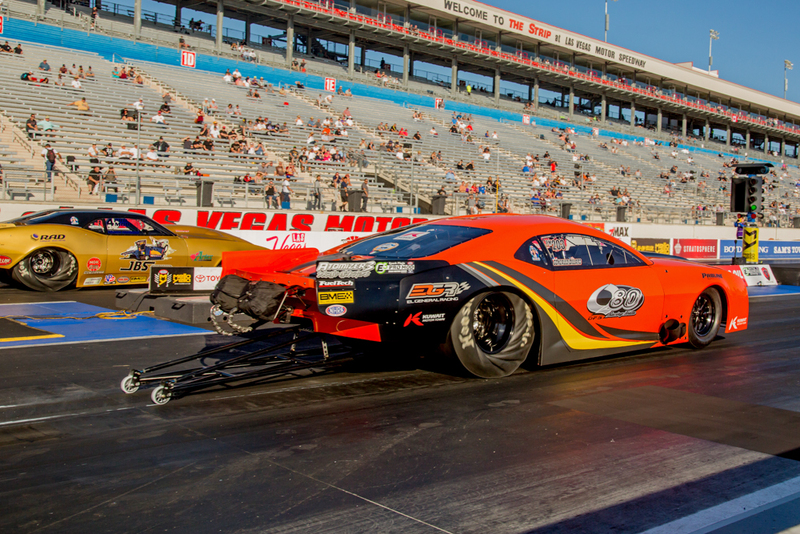 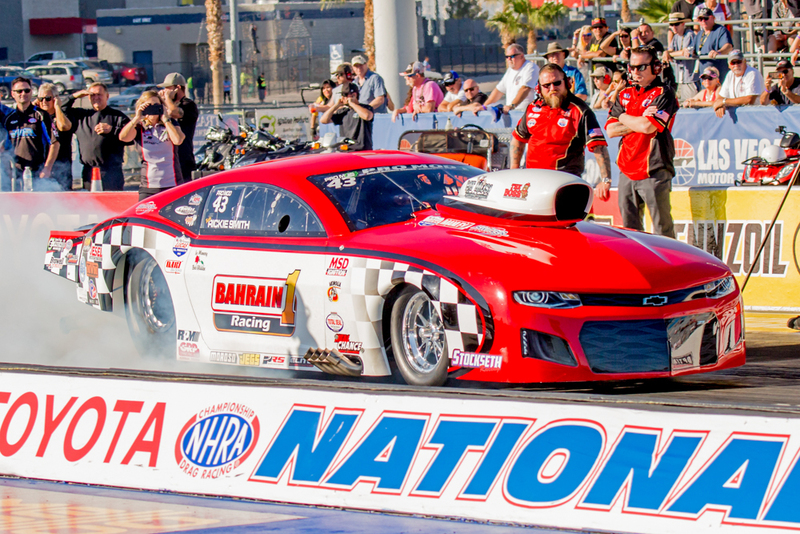 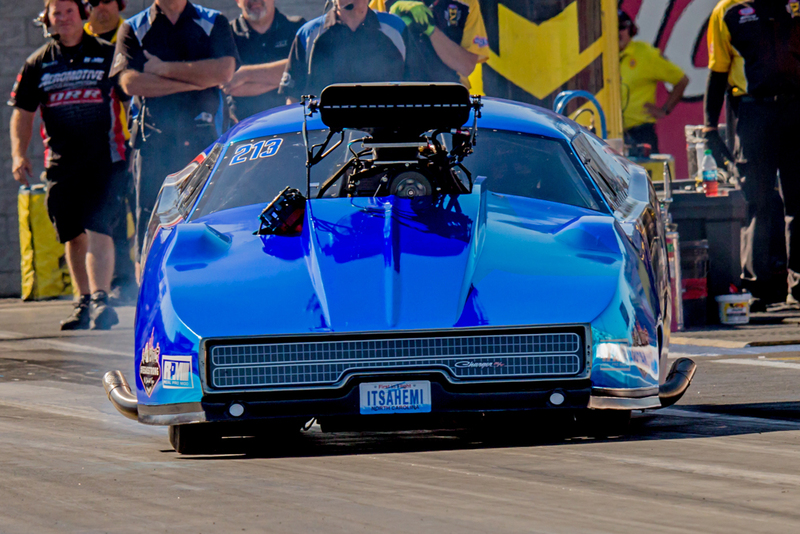 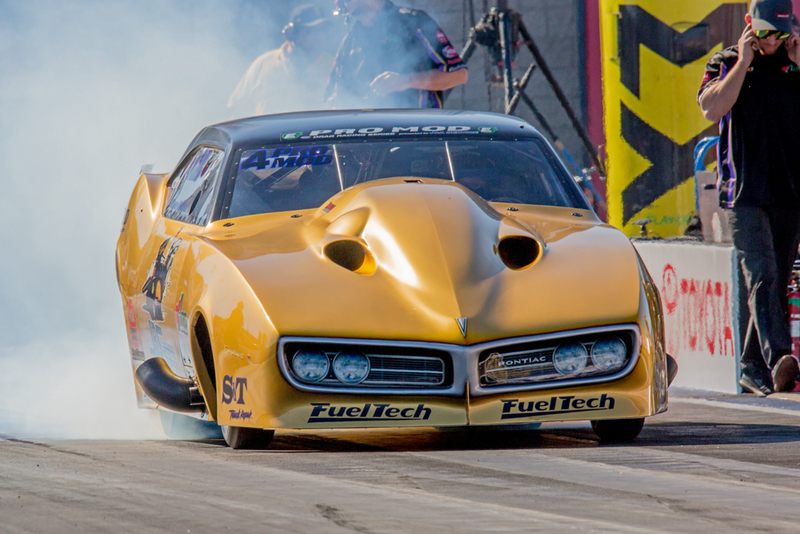 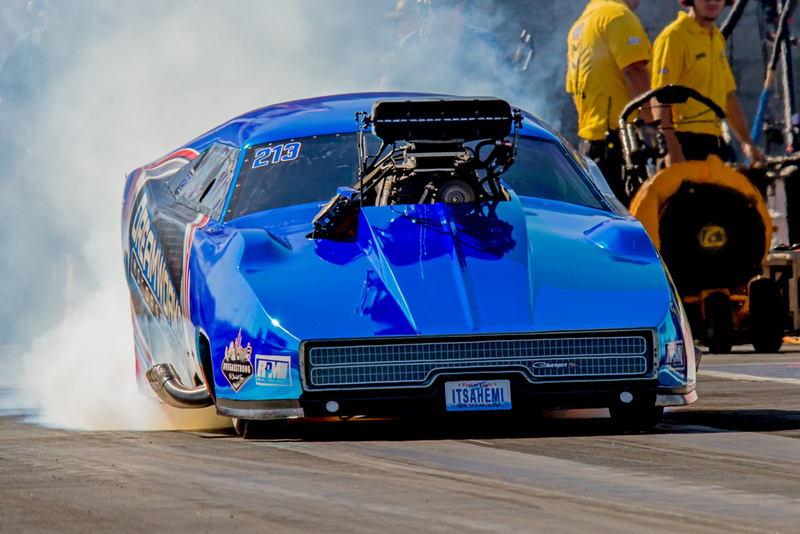 The Final Top Ten Point standings, following the 18th annual NHRA Toyota Nationals at The Strip at Las Vegas Motor Speedway, the race is the final of 12 events in the NHRA Pro Mod Drag Racing Series. 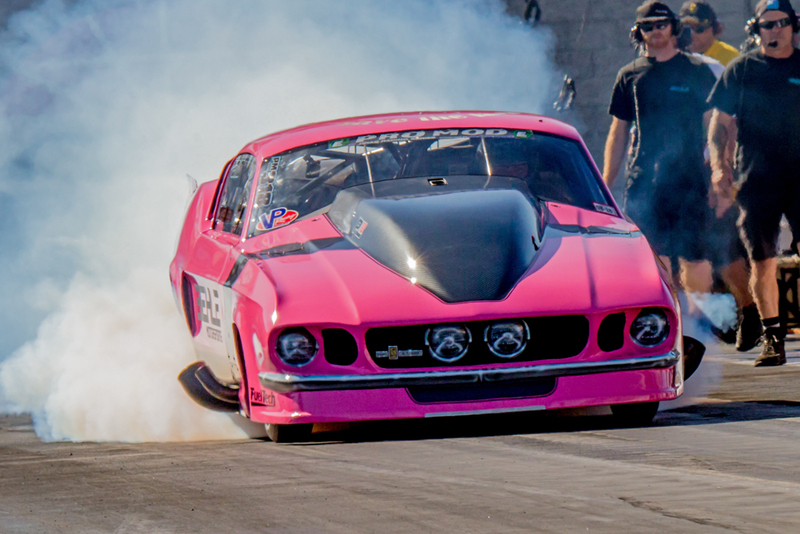 Noting the lack of spectators. 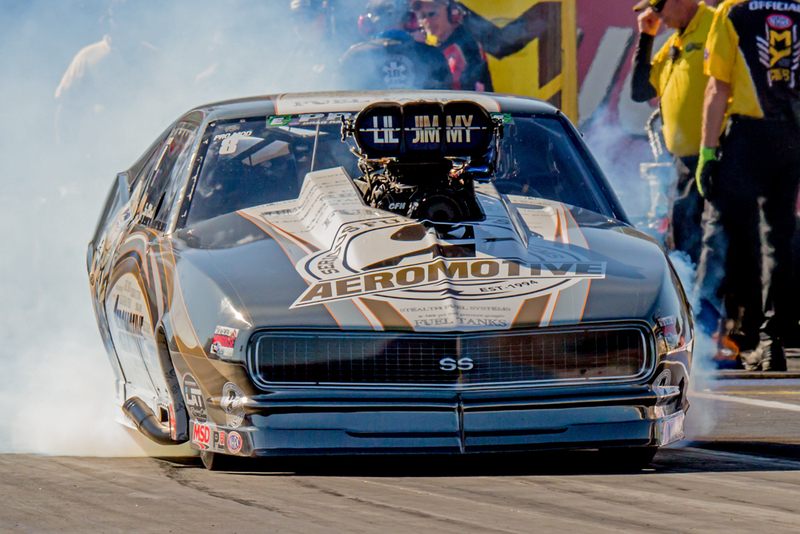 NHRA or GOing AWay? 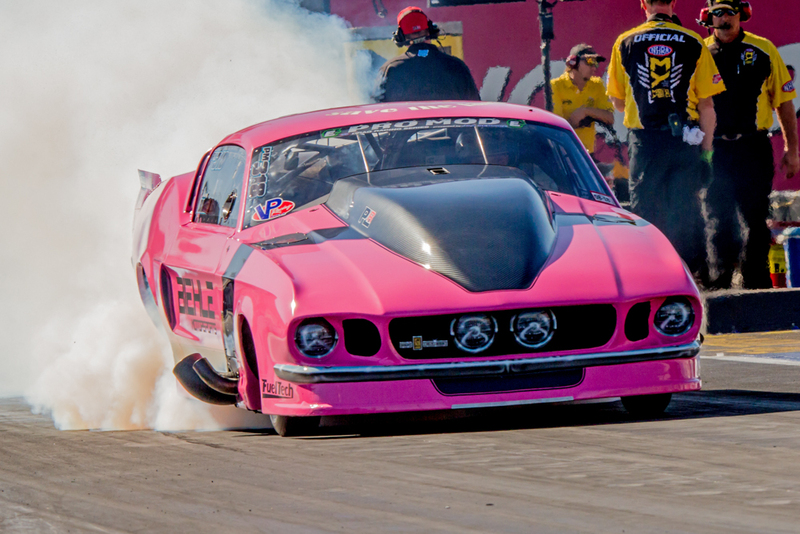 Another interesting fact: By my count 60% of the top 10 cars are owned by Middle Eastern entities.